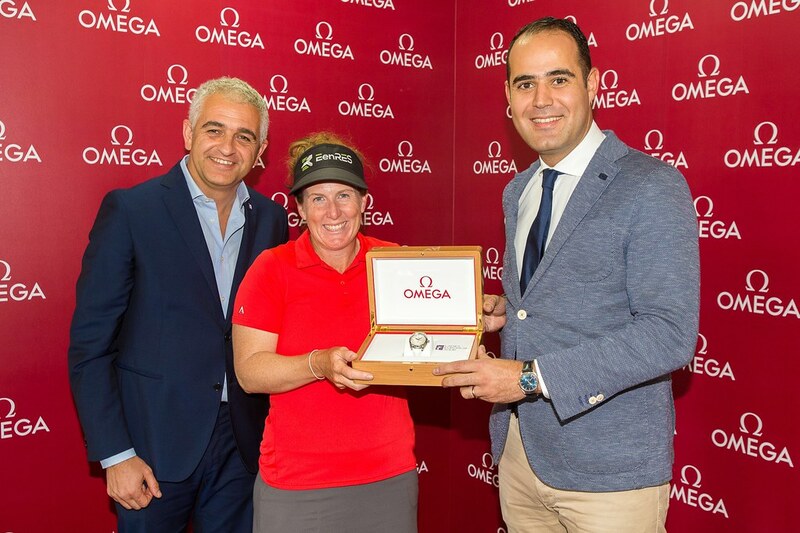 Beth Allen of the United States stepped up to receive recognition for her phenomenal 2016 season at the Ladies European Tour awards dinner in Dubai where she was presented with a salver, an Omega watch and a cheque for 20,000 euros. The 35-year-old from San Diego, who lists laughing, karaoke and happy hours among her favourite hobbies, became the first American player to win the LET Order of Merit in the 38-year history of the organisation with earnings of 313,079 euros from 16 tournaments, to finish 106,414 euros ahead of second placed Aditi Ashok from India, the LET’s leading rookie professional. Beth achieved two victories and six further top 10 finishes in 2016. Her season started in style with a fourth place finish at the ISPS HANDA Women’s Australian Open and she then finished third at the Buick Championship in China. A tie for sixth at the ISPS HANDA Ladies European Masters preceded a second place finish in the Andalucia Costa del Sol Open de España. She fought back from the heartbreak of defeat on the final hole to win the Lacoste Ladies Open de France and the inaugural Fatima Bint Mubarak Ladies Open in Abu Dhabi back-to-back, before securing another tie for sixth at the Hero Women’s Indian Open. Beth’s journey on the LET began in 2008 but she steadily improved year by year. In fact, there was a marked improvement in 2011, the year that she donated a kidney to her brother, Dan, in March. She returned to compete on tour just two months later and that year jumped from 52nd to 19th on the Order of Merit. The improvement continued and in 2015, Beth earned her breakthrough win at the ISPS HANDA Ladies European Masters, at the LET’s base, Buckinghamshire Golf Club in England, which was the first time that she worked with four-time Order of Merit winner Sophie Gustafson as her caddie. In July 2016, having moved to Edinburgh, Scotland, Beth settled down and married, just prior to the best stretch of results of her career. Beth’s season, and story, means that she will now join the LET’s list of all-time greats.